Thursday Island, Administrative and Business Centre Torres Strait. 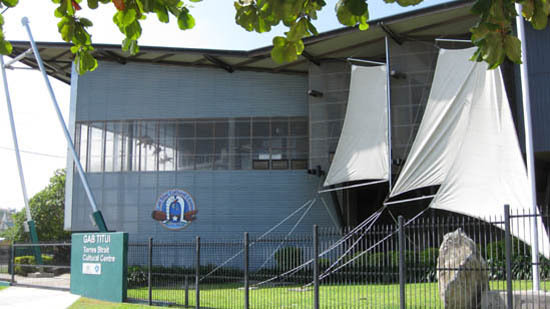 Thursday Island Centre Houses Significant Cultural Artifacts. Thursday Island is the government and business centre of The Torres Strait, a body of water between the tip of Queensland, Northern Australia, and Papua New Guinea. Only seventeen of the more than two hundred islands, scattered through the turbulent waters of the strait, are inhabited, due partly to the scarcity of water on some of them. The Torres Strait, named after Spanish explorer, Luis Vaez de Torres, is approximately one hundred and fifty kilometres of, sometimes, very rough and dangerous ocean between the Coral Sea off the east coast of Queensland and the Arafura Sea to the north of the Northern Territory. Thursday Island (Waiben), a small island nestled between Horn (Narupai), Hammond and Prince of Wales Island (Muralag), is home to three or four thousand people and became its administrative centre, following the failed settlement at Somerset, near Albany Island. The islands, some mountainous and volcanic, on which the people traditionally kept gardens, others mere waterless sand cays, are divided roughly into five geographical sections – the Inner islands, close to mainland Australia, the Western Islands north of them, the top Western Islands, close to the southern Papua New Guinea coast, the Central Islands and the Eastern Islands. 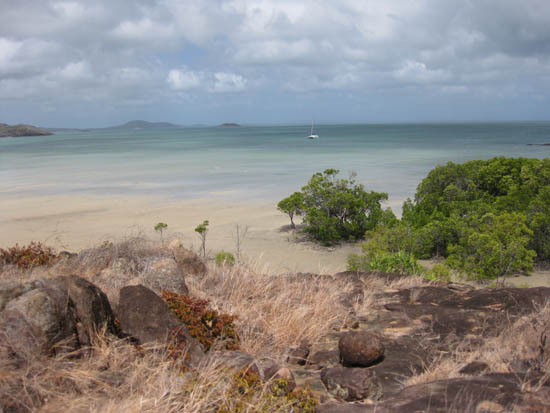 Torres Strait islanders live also on mainland Australia at the settlements of Seisia and Bamaga, where they were re-settled from Saibai Island following flooding there in the 1950s. In the late 1800s Thursday Island (Waiben) was the centre for a vibrant pearling industry, attracting workers from Asia and the Pacific islands, keen to make their fortunes. In 1871 the London Missionary Society brought Christianity to the Torres Strait islanders, an event still celebrated as the ‘Coming of the Light’. Culturally, Torres Strait islanders speak two languages (Meriam Mir from the eastern islands and Kala Lagaw Ya from the central and western groups) as well as creole and English. Popularised through novels by Ion Idriess, their warlike characteristics were no doubt founded on the need to defend their territory. The relative proximity between islands also meant that trade between them was very important. Traditional artifacts such as crocodile masks, feather head-dresses, basket weavings and sculptures, once so important in rituals, are still made today, albeit with a more art-oriented purpose. The visual arts of the region received a boost in the 1980s as the result of young Torres Strait islanders moving to live on the mainland, particularly in Cairns, where some of them attended the aboriginal and islander TAFE (Technical and Further Education) courses there. One artist, largely self-taught, was Billy Missi . His expressive linoprints tell stories of the waters where he fished and of his beloved island home, Moa. Printmaking was one of the strongest of the art subjects taught in Cairns, pioneered by artist and teacher, Anna Eglitis. Many aboriginal and islander students found that it suited their traditional use of line. Denis Nono, from Badu Island was one of the first of these students to visually document the story telling, previously transmitted orally and by dance, mostly through the medium of lino prints. The Gab Titui Cultural Centre is a keeping place for historical artifacts as well as for contemporary art in all forms. Its name, an attempt to represent both Western and Eastern island languages, translates to ‘Journey of the Stars’. The centre also sells art from Torres Strait artists as well as souvenirs. It is open most days - Sundays by appointment only. Photos on this page were taken during a trip that I made on a coastal freighter, Trinity Bay, hugging the coast as it ploughed serenely northwards from Cairns. The ship delivered much needed supplies to remote settlements, usually being met by a barge or berthing at busy jetties. It also collected huge freezer containers of prawns, often offloaded from 'mother ships' in the middle of the night, depending on tides and schedules.